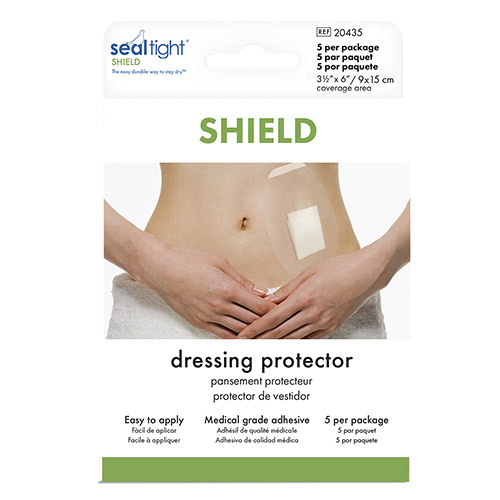 Disposable SEAL-TIGHT® Shield patches are a secondary or supplemental dressing that allows patients to shower while keeping wound sites or surgical dressings dry. SEAL-TIGHT® Shield fills need for site specific moisture protection. 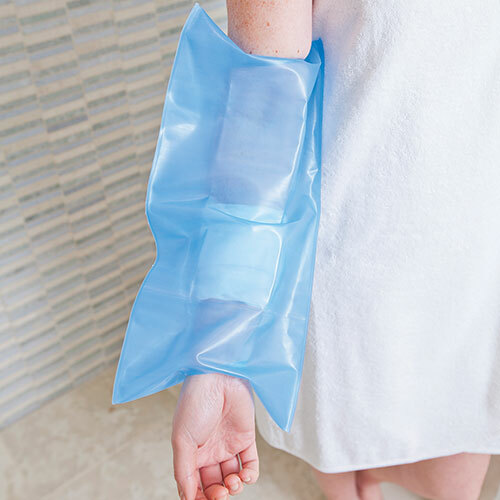 Easy to apply and remove, SEAL-TIGHT® Shield is made of transparent film, permitting view of wound or bandage to be covered. 5” x 8” size provides 3 ½” x 6” coverage area. 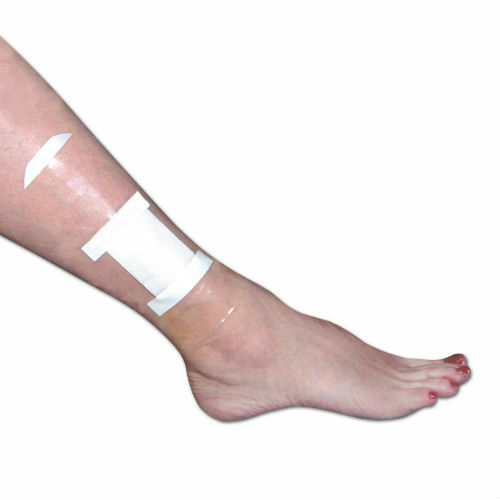 Design features paper release liner with medical grade adhesive located around perimeter of patch. Release tab allows easy removal following showering. 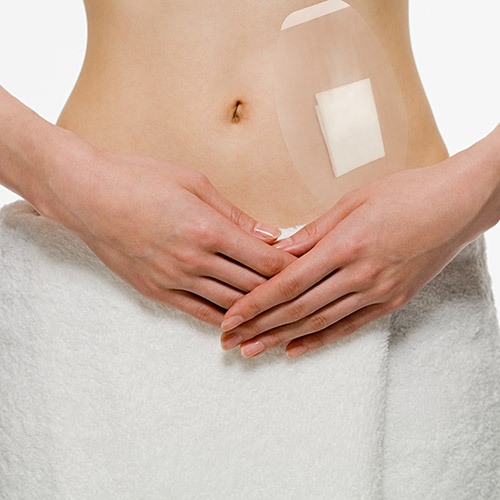 Use for dressings, infusion, ostomy, catheters, biopsies, or laparascopic procedures. Not made with natural rubber latex.